Pilots! We continue to share the latest changes that will appear on the game servers in the upcoming updates. 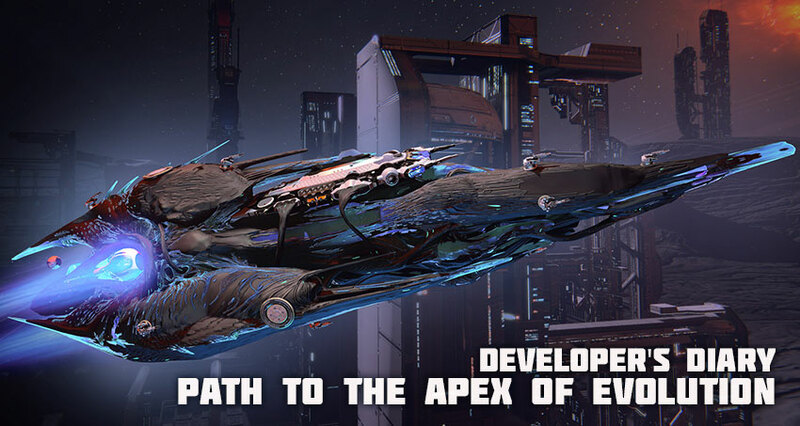 Today we will tell you about the new research stage of the Ellydium destroyer Ze'Ta. The destroyer was designed using the latest advances in the development of crystalline technology. Incredible offensive and defensive power makes the destroyer almost invincible! In the near future, the second special module of the destroyer “Balanced Swarm”, which allows you to switch the swarm to defence, attack and hunting, will become available. The new active module “Devastator beam" forms destructive zones in the areas where it hits enemy ships. A transport module “Jump system Kapkan” allows you to move the ship in space, leaving behind the pursuers.